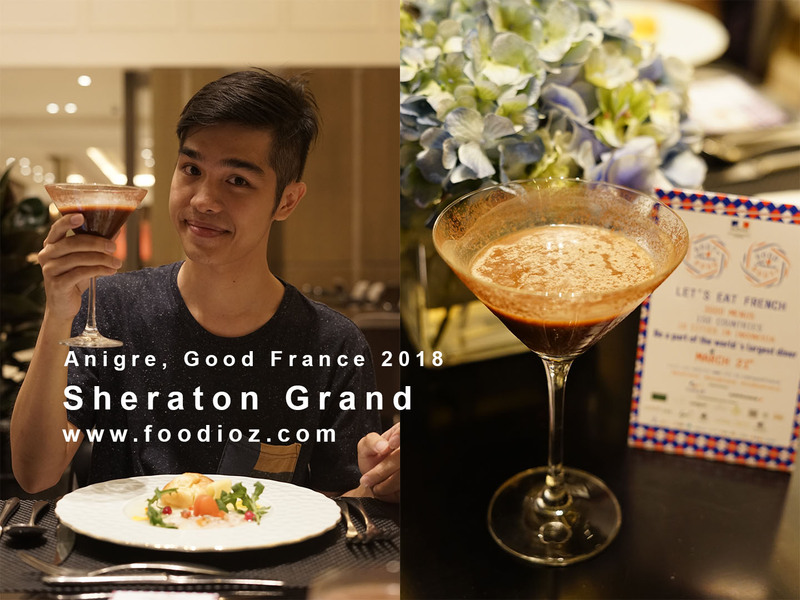 Good France 2018 became one of the biggest event with 3000 restaurants in the world participating. 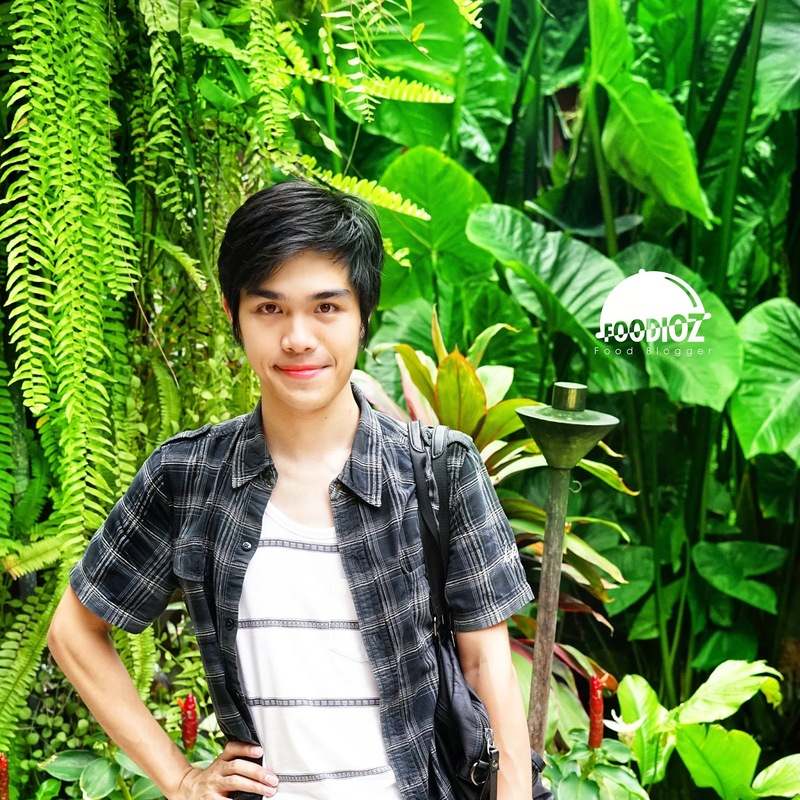 Among these are 39 restaurants from Indonesia. In this festival moment, i had the opportunity to visit one restaurant in South Jakarta area. Anigre is located in the Sheraton Grand hotel which is a 5-star hotel with luxurious and elegant interiors. 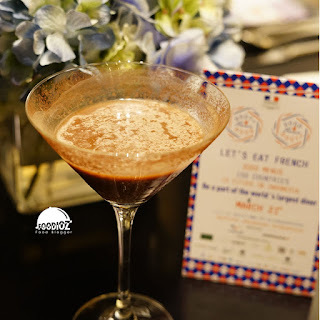 The event was attended by several digital media ready to review dishes with French theme. 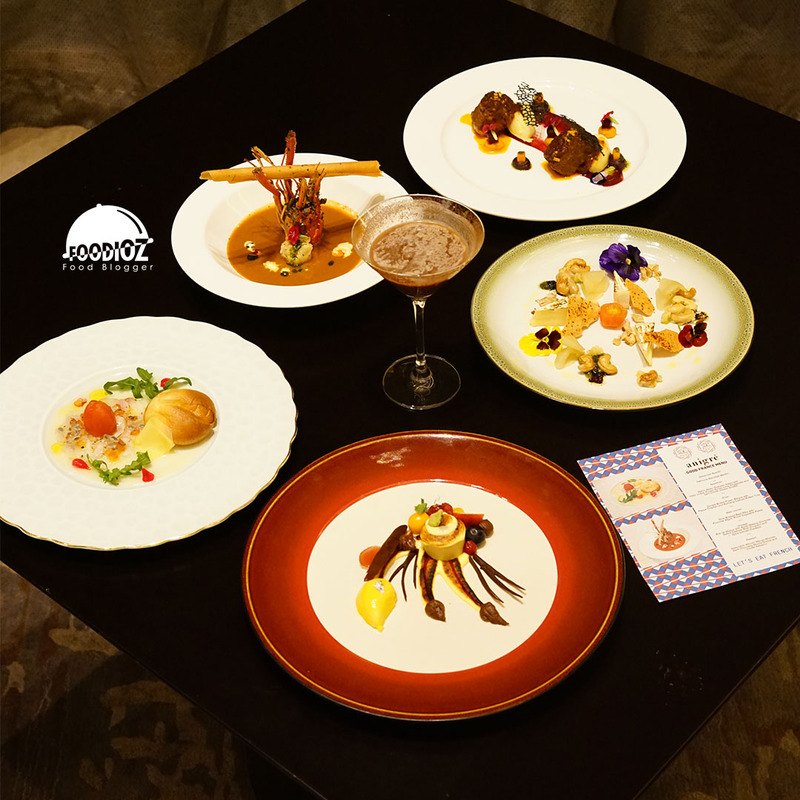 At this dinner session, we were presented with a set menu of 6 dishes. Chef Twedi Martatna as Executive Chef at Sheraton Grand explains this time he presents the concept of French food with a classic flavor but uses some local Indonesian ingredients. 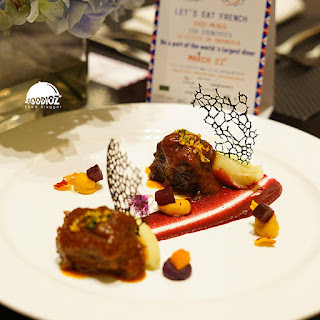 With his experience that has been long enough and have the skill of French cooking techniques certainly make it able to create an interesting French cuisine creations. For this Good France set menu, every guests will get aperitif drink as welcome drink with Varlrhona Gianduja Martini. The mixed drinks of chocolate and martini provide a welcome sensation that enhances appetite. Followed by a Warm Asian Seabass Salad that looks full of varied elements. There is cheese souffle, light comte and baby rocket forest honey lime vinaigrette which produce fresh taste. 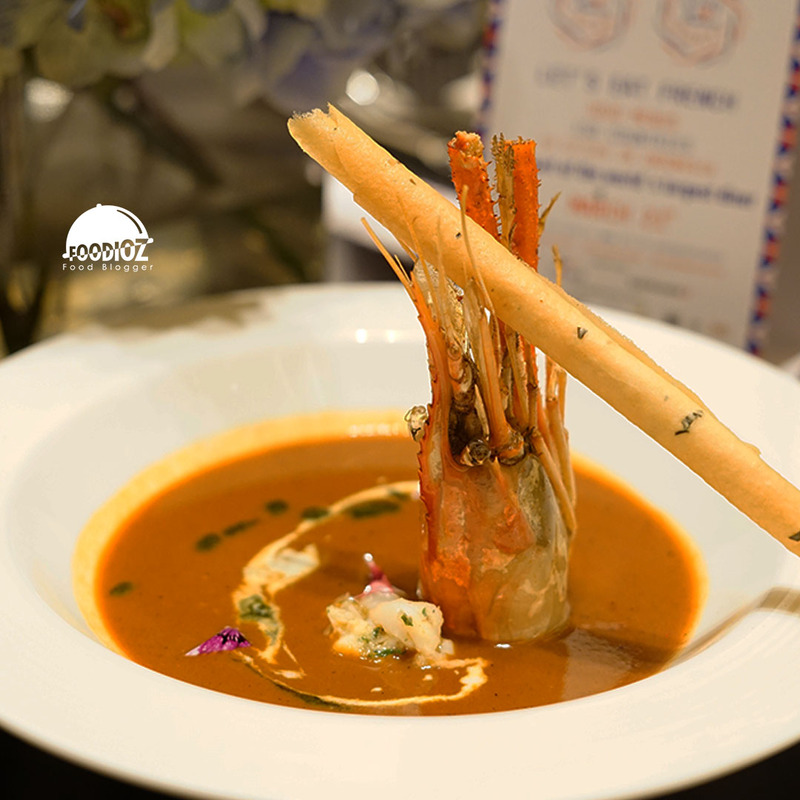 The second menu is Double Boiled Prawn Bisque, soup thick with a strong color. Then served with papua crayfish and basil leaves rolled tuile over the head of Papua prawn that beautify the dish. I think it feels overpower, dominant savory sweet so it covers the overall taste even crayfish meat itself. This menu will be more delicious if there is a balanced creamy taste and not too strong. The main menu of interest is Slow Braised Beef Ribs, Australian beef processed up to 4 hours to produce a super-tender texture of meat with delicious pommes aligot, some colorful elements give a beautiful touch to the dish. Do not forget there are beetroot elements with a distinctive aroma that gives a balanced flavor. 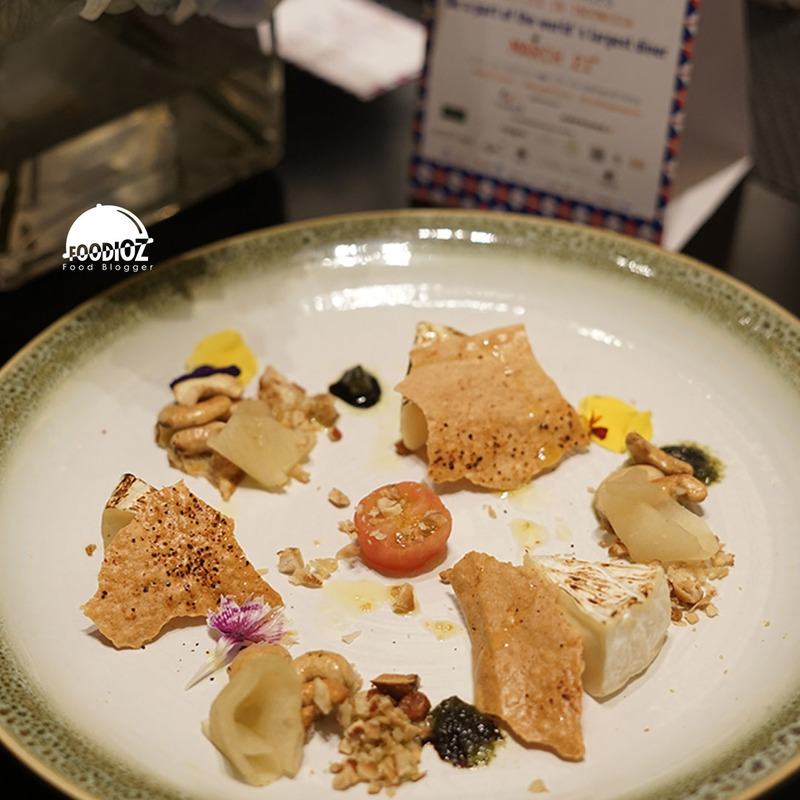 Followed by Cheese Brie de Meaux, a brie cheese dish with milky fragrance and soft texture. 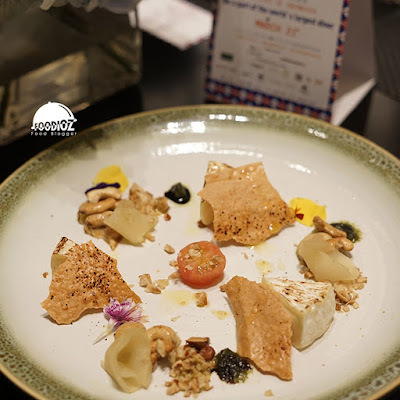 Served along with Malang apple slices of compote, salted cashew nuts corquant and spicy lavish cracker with a crisp and spicy sensation. 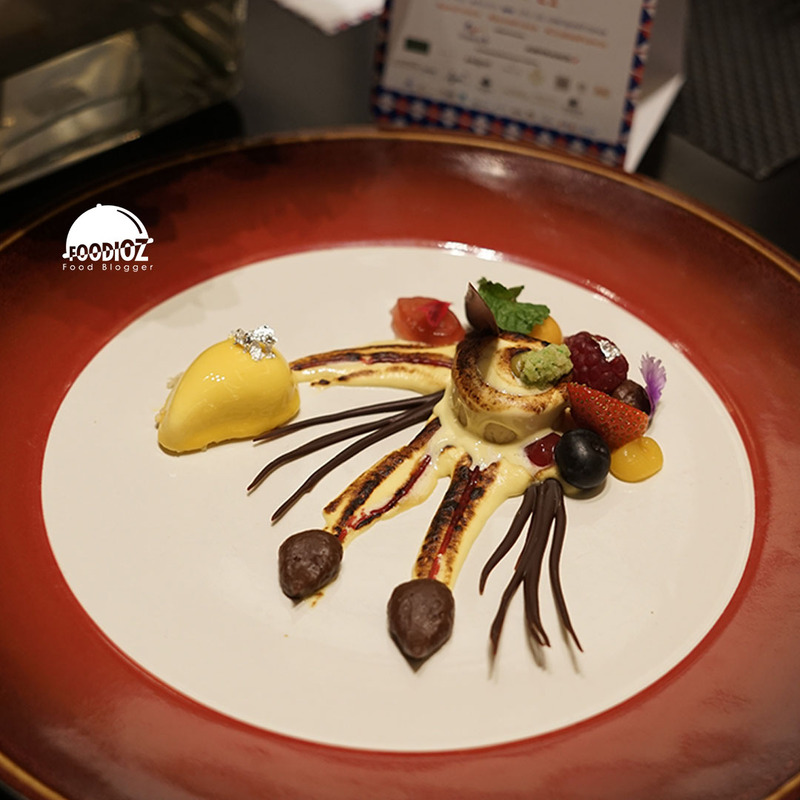 The last dish is Alfonso Mango Mousse, dessert dish served very beautiful with dark chocolate mocha crema and vanilla sebayon. Mango texture of soft mousse, sweet taste that fit and taste of mango is rich. But for vanilla sebayon sweetness with a strong taste, of course this is not a taste preference that i like. In addition dark chocolate fits perfectly with a sense of legit. 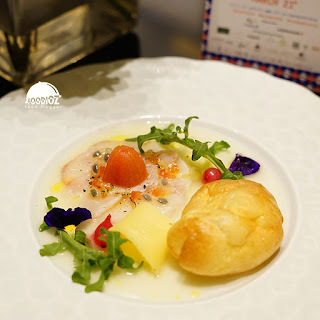 The event of Good France 2018 in Anigre will take place from 21 - 23 Mar 2018 starting at 6.00pm dinner time. To enjoy this set menu is priced at Rp 588.000 ++ per person. Prices are pretty standard for 5-star hotels, an interesting menu as well as a sizable serving too.